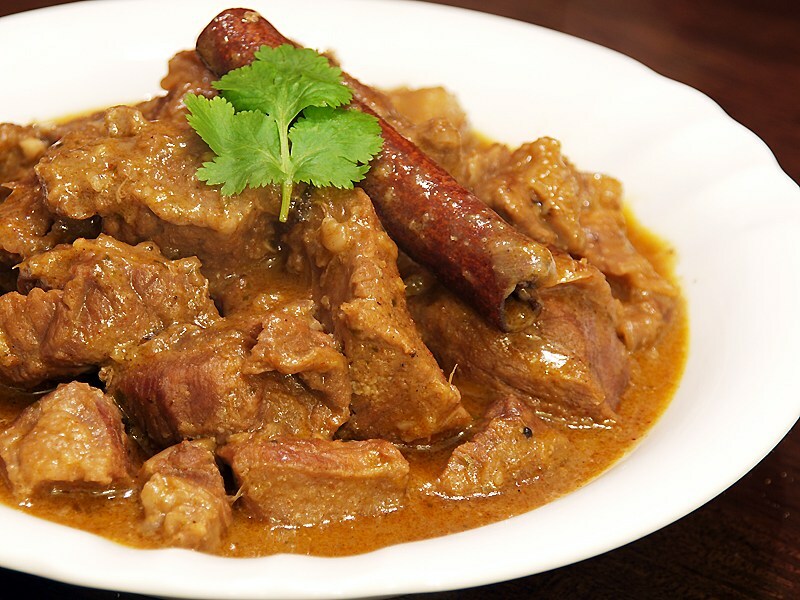 There are so many famous chefs in Bangladeshi cuisine. Among them, I will describe two famous and celebrity chefs those are Siddiqua Kabir and Tommy Miah. Siddiqua kabir is my cooking inspiration. Which book I bought first after my marriage can you imagine? This book was “Ranna khaddya pushti” written by Siddiqua kabir. Still, now the book belongs to me. She is a highly honorable person to me. “Siddiqua Kabir (May 7, 1931 – January 31, 2012) was a Bangladeshi nutritionist, academic, cookbook author and cooking show television host. 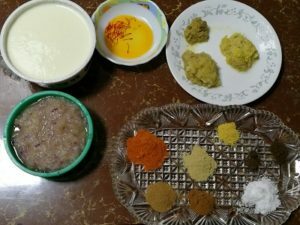 A professor, Kabir hosted and guest starred in numerous television shows featuring Bangladeshi cuisine, including Siddiqua Kabir’s Recipe on NTV Bangla. She attended college for mathematics and received a master’s degree on the subject.With a scholarship from the Ford Foundation, she obtained her second master’s degree in Food, Nutrition and Institutional Administration from Oklahoma State University in 1963. Kabir began her teaching career in 1957 by joining the mathematics department of Eden Girls’ College in Azimpur, Dhaka. She joined the nutrition department of College of Home Economics, Azimpur, Dhaka, from where she retired as the principal in 1993. Kabir appeared in her first television cooking show in 1966, leading a long career in numerous cooking shows as a presenter and guest. She also authored cookbooks, including “Ranna Khaddya Pushti” and “Bangladesh Curry Cookbook.” Her career further led to consultant work for major foreign and Bangladeshi consumer food brands, such as Radhuni, Dano, and Nestlé. Tommy Miah is our pride. He is a Bangladeshi born British celebrity Chef. Tommy Miah is known as a “Curry King” in Britain. “Mohammad Ajman Miah, MBE FRSA (born 28 March 1959), better known as Tommy Miah, is a Bangladeshi-born British celebrity chef, owner of the award-winning Raj Restaurant and founder of the International Indian Chef of the Year Competition. 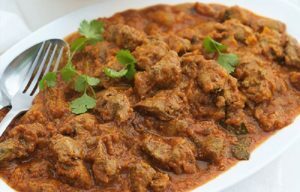 He is often recognized as the “Curry King” in Britain. With his status being as a celebrity chef, including having his own television show in Bangladesh, and with the experience of international dining and catering, Miah has established the foundation of the Tommy Miah Institute of Hospitality Management, which is an institution which trains Bangladeshis in the international hospitality industry. Take a deep saucepan for this recipe. Heat oil in a pan and add cinnamon sticks, clove, bay leaves, cardamom, and pepper powder to the oil. Fry this for 1-2 minutes. Add beef pieces to the oil. Cook it for 5 minutes. Add ginger paste, red chili powder, green chili paste, salt, and paprika to the meat. Cook the meat few more minutes. Add yogurt to the meat and cover with a lid. Cook it for another 10 minutes on medium heat. Cook the meat with the low beam for 1 hour until the meat is soft. You can cook this recipe in the crock pot. Beef regan josh is ready to serve. Serve the meat with rice or tortilla. 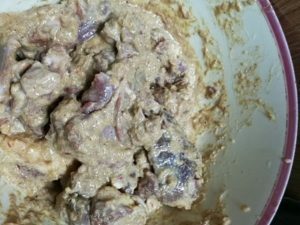 Wash mutton pieces and add salt to the mutton. Keep it for 30 minutes and wash it again. Rinse water and keep aside. 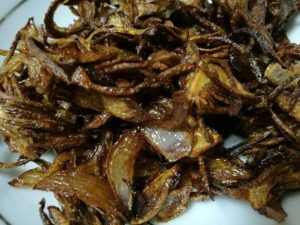 Fry onion with ghee until golden brown. Crush it after cooling. 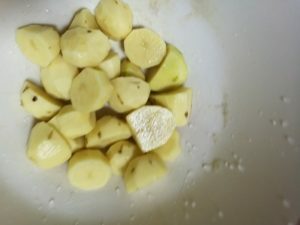 Mix color to the potato and fry it until brown. 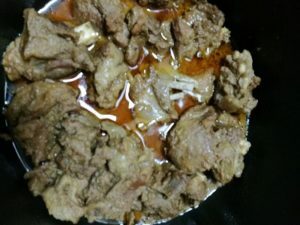 Take the mutton pieces in a deep saucepan. Add onion, ginger paste, garlic paste, all spice powder to the mutton. 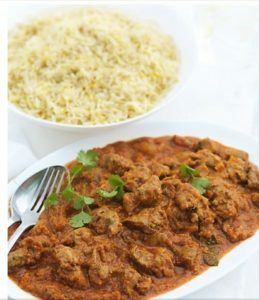 Add rose water, kewra water, and yogurt to mutton and mix it very well. Spread all potato pieces over the mutton. Add aloo Bokhara and ghee over the mutton. Wash rice and rinse it very well. Add rice to the salted boiled water. After boiling the rice rinse it. Take 1 cup water from the water that was used to boil the rice. 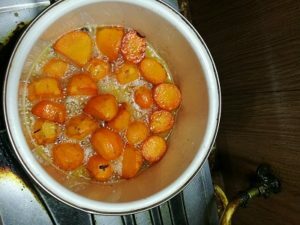 Add ¾ cup ghee with the water and add the water to the mutton. 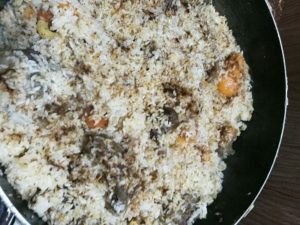 Spread rice over the meat. Spread a pinch of color over the meat. Add 1 cup water that was used for boiling the rice with ghee over the rice. If you need more water you can add more water to the rice so that water and rice are equal. Cover with a lid. Make a dough with wheat flour and water. Seal the lid with dough. Put the saucepan burner and put a boiled water pot over the lid. 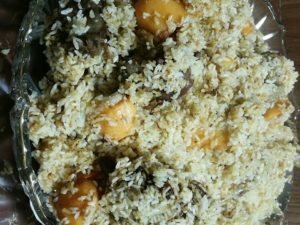 Cook the kacchi biryani for 20-25 minutes over the high beam. When the aroma of kacchi biryani comes out to reduce the beam and cook again for 60-90 minutes over the low beam. If you have a slow cooker you can use this for this recipe. 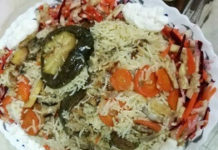 The most delicious biryani in the world “Kacchi biryani” is ready to serve. 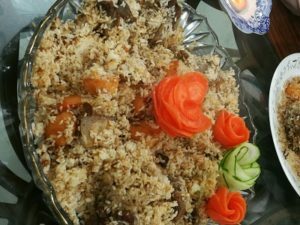 Serve this biryani with salad and borhani. Hope you will enjoy celebrity chefs’ recipes. 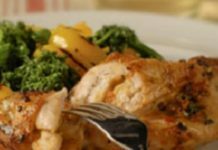 If you like my celebrity chefs special recipes please share my recipes with your friends and family. I love to cook and like to share my delicious recipes with my beloved family.